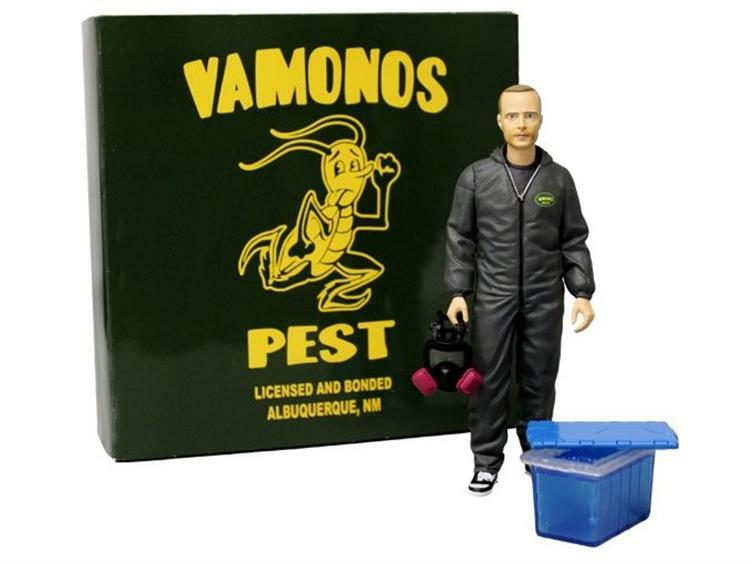 The exclusive, limited edition figure is presented in a deluxe window box with a Vamonos Pest slipcase. Jesse comes complete with an episode accurate removable respirator, and a bin with lid as seen in the series. The back of his outfit features the Vamonos Pest logo.